1933 A.L. Ueltschi solos at age 16 in OX-5 Waco. 1935 A.L. Ueltschi borrows $3,500 against his business, Little Hawk burger stands, to buy a Waco 10 aircraft. 1941 Pan American Airways hires A.L. Ueltschi. 1951 FlightSafety incorporates and begins operations in the Marine Air Terminal at New York’s LaGuardia Airport. 1951 FlightSafety rents a Link trainer, the company’s first training device. 1953 Expands capabilities with the purchase of four Link trainers. 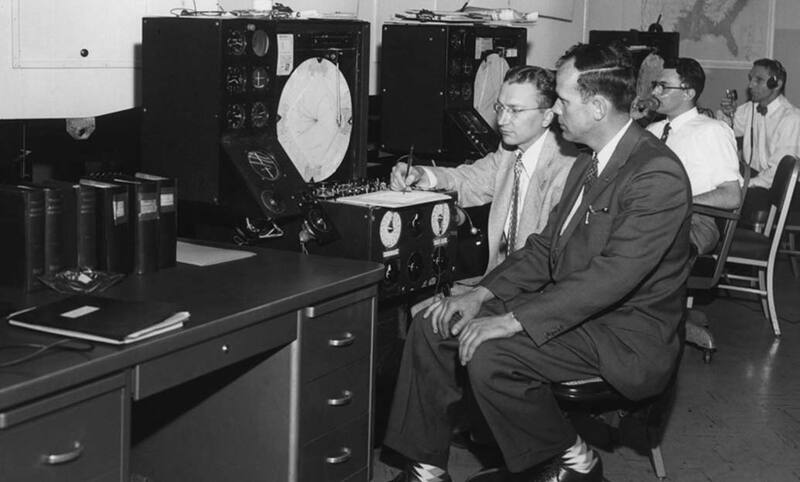 1955 Purchases the Link Translator, the company’s first flight simulator. 1961 Bruce Whitman joins FlightSafety. 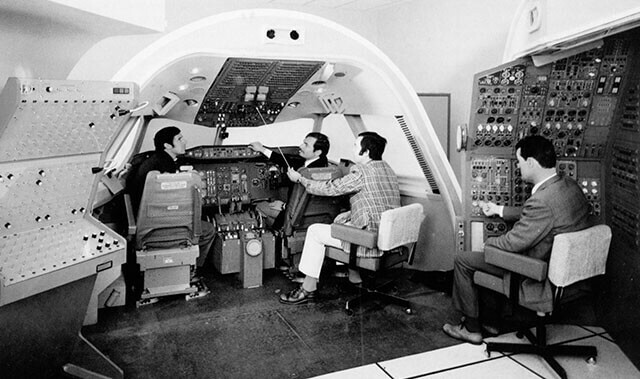 1962 First type-specific trainer – using actual flight deck paired with analog computers and hydraulic-motion base – goes into service. 1963 Revenues top $1 million. 1966 Falcon Jet names FlightSafety its factory-authorized training provider. 1966 Opens Learning Center in Houston, Texas. 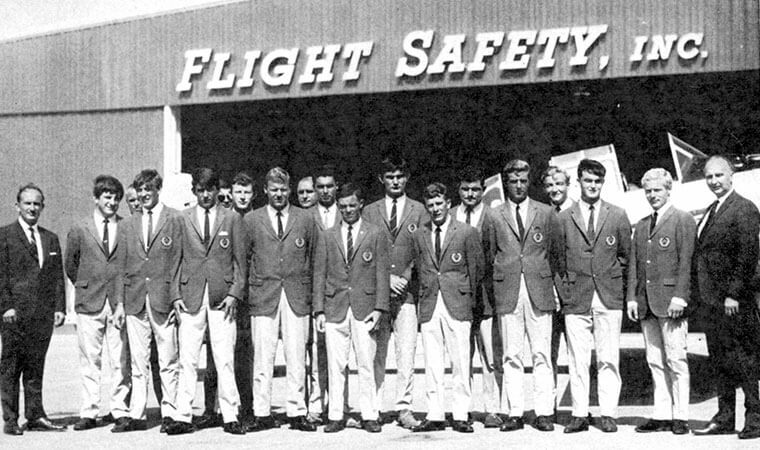 1966 Opens FlightSafety Academy in Vero Beach, Florida. 1967 Opens Learning Center in Long Beach, California. 1967 Signs training agreement with Hawker Siddeley. 1968 Initial Public Stock Offering. 1968 Revenues reach $5.6 million. 1969 Trains 2,500 professional pilots and 4,000 student pilots. 1969 Gulfstream names FlightSafety its factory-authorized training provider. 1969 Learjet names FlightSafety its factory-authorized training provider. 1970 American Stock Exchange lists FlightSafety. 1970 Revenue doubles in three years, from $4.3 million in 1967 to $9 million in 1970. 1971 Opens Learjet Learning Center in Wichita, Kansas. 1973 Opens Learning Center in the Greater Philadelphia/Wilmington area. 1973 Flight Safety Inc. becomes FlightSafety International. 1973 Opens Gulfstream Learning Center in Savannah, Georgia. 1974 Offers new Falcon 20 digital simulator with FAA-approved visual system. 1974 Establishes MarineSafety International to provide training for ship crews. 1974 Opens Learning Center in Memphis, Tennessee. 1974 Sabreliner names FlightSafety its factory-authorized training provider. 1974 Opens Sabreliner Learning Center in St. Louis, Missouri. 1974 Cessna names FlightSafety its factory-authorized training provider. 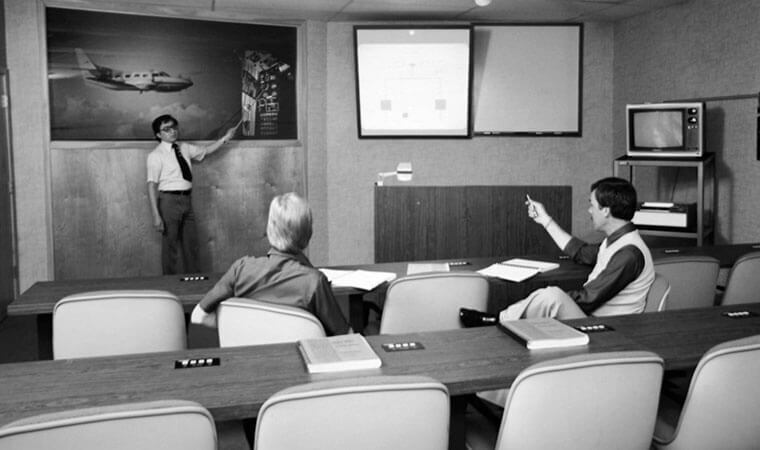 1975 Opens Learning Center in Teterboro, New Jersey. 1975 Signs training agreement with Mitsubishi Aircraft International. 1976 Introduces ProCard, awarded to Customers for achieving highest standards of proficiency. 1976 Opens Cessna Citation Learning Center in Wichita, Kansas. 1976 Opens Learning Center in San Antonio, Texas. 1976 Opens Learning Center in France. 1977 Opens Learning Center in Atlanta, Georgia. 1977 Bell Helicopter names FlightSafety its factory-authorized training provider. 1977 Opens Learning Center in Tucson, Arizona. 1977 Piper Aircraft Corporation names FlightSafety its factory-authorized training provider. 1977 Operates 16 Learning Centers and is the factory-authorized trainer for 11 manufacturers. 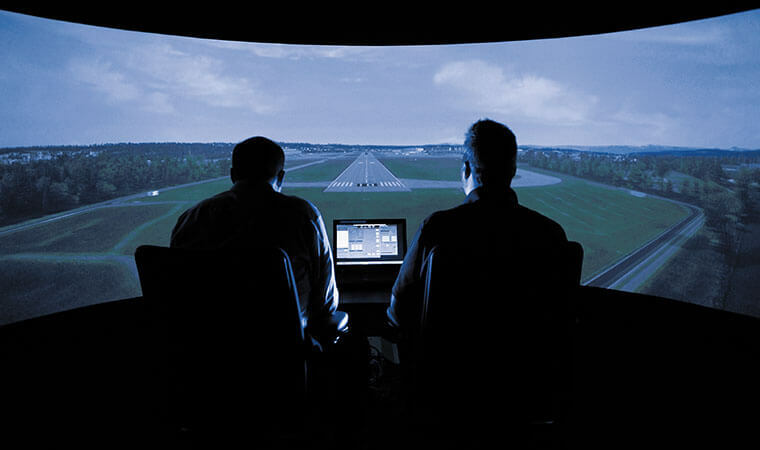 1977 Purchases simulator manufacturer Atkins and Merrill in Tulsa, Oklahoma, to create FlightSafety Simulation. 1978 Operates 30 simulators at Learning Centers in the United States, Canada and Europe. Revenues reach $43 million. 1978 Begins advertising series featuring leading Chief Executive Officers testifying to the value and quality of FlightSafety training. The series continues today. 1979 Cessna Aircraft Company signs largest training agreement to date for initial and recurrent training on six aircraft models, including three Citation jets. 1979 Becomes authorized training provider for the Canadair Challenger aircraft. 1979 Signs agreement to provide Fairchild SA226 Metro aircraft training. 1980 New York Stock Exchange lists FlightSafety. 1980 Opens Learning Center in Montreal, Canada. 1980 Opens Learning Center in the Detroit Metro/Toledo area. 1980 SAAB names FlightSafety its factory-authorized training provider. 1980 Opens Bell Helicopter Learning Center in Hurst, Texas. 1980 Opens Learning Center in Lakeland, Florida. 1981 FlightSafety’s first full flight helicopter simulator enters service. 1982 Operates 23 Learning Centers in the United States, Canada and France with 50 flight simulators. 1983 Sikorsky Aircraft Corporation names FlightSafety its factory-authorized training provider. 1983 Opens Learning Center in West Palm Beach, Florida. 1985 DeHavilland names FlightSafety its factory-authorized training provider. 1985 Opens Learning Center in Daleville, Alabama. 1986 Revenues grow to more than $110 million. 1986 Becomes authorized training provider for Avions de Transport Regional (ATR). 1986 Beech Aircraft Corporation names FlightSafety its factory-authorized training provider. 1987 Opens Beechcraft Learning Center in Wichita, Kansas. 1987 Opens Learning Center in Toronto, Canada. 1987 Opens Learning Center in Salt Lake City, Utah. 1987 Opens Learning Center in Dothan, Alabama. 1987 FlightSafety Simulation moves to new facility in Broken Arrow, Oklahoma. 1987 Opens Cessna Maintenance Training Center in Wichita, Kansas. 1987 Mooney Airplane names FlightSafety its factory-authorized training provider. 1987 Offers first EMS helicopter training program. 1988 Factory-authorized training provider for 20 aircraft manufacturers, operating a total of 32 Learning Centers. 1988 Acquires what is now known as FlightSafety Services Corporation. 1989 A member of the team selected by the United States Air Force to produce Weapons Systems Trainers and flight training devices for the C-17 aircraft. 1989 Opens Learning Center in Seattle, Washington. 1990 Piaggio Aero names FlightSafety its factory-authorized training provider. 1991 Embraer enters into training agreement with FlightSafety. 1992 First pilot receives ATP helicopter certificate and type rating (S-76) in a simulator without taking a check ride in an aircraft. 1992 The United States Air Force selects FlightSafety to provide KC-135 Stratotanker training. 1992 Opens airline Learning Center in Cincinnati, Ohio. 1993 Acquires Visual Simulation Systems manufacturing company. 1993 Receives contract from the United States Air Force to provide C-135 aircraft training. 1994 World’s first FAA Level D-qualified rotorcraft simulator enters service. 1994 Opens airline Learning Center in St. Louis, Missouri. 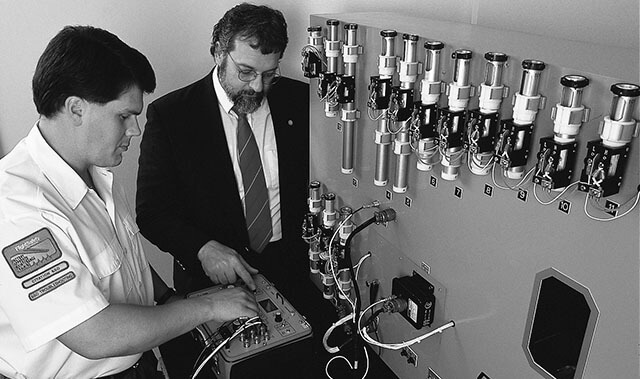 1994 Introduces Master Technician training program. 1994 Begins cabin attendant training program. 1994 Receives contract to support the United States Joint Surveillance Target Attack Radar System. 1995 Offers first dispatcher training class. 1996 Operates more than 100 simulators for more than 50 different types of aircraft, training more than 50,000 pilots and maintenance technicians annually at 36 Learning Centers worldwide. Serves as the authorized trainer for 20 aircraft manufacturers. 1996 Berkshire Hathaway acquires FlightSafety. 1997 Member of the team awarded Joint Primary Air Training System (JPATS) Ground Based Training System contract. 1997 Designs and manufactures the first full flight simulators and flight training devices for the United States Marine Corps and Air Force Osprey program. 1999 Receives Type-Rating Training Organization (TRTO) approval. 1999 Opens Learning Center in Columbus, Ohio. 2000 Opens Learning Center in Dallas, Texas. 2001 A.L. 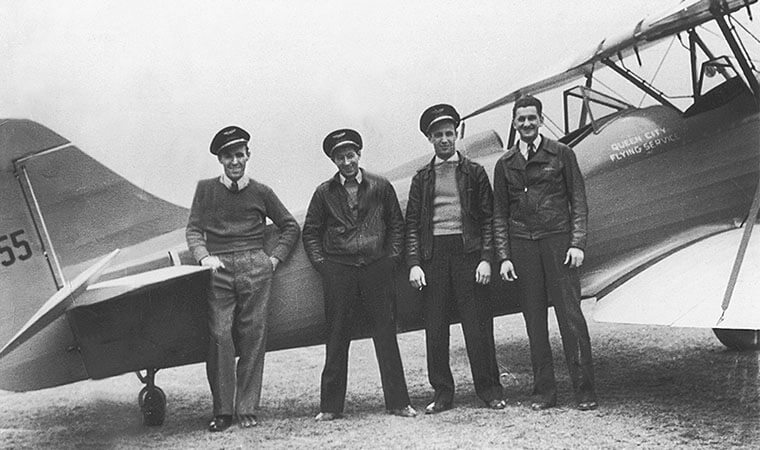 Ueltschi enshrined in National Aviation Hall of Fame. 2003 Bruce Whitman named President and CEO. 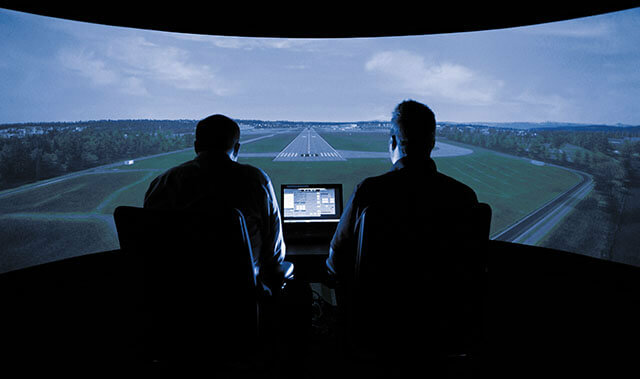 2003 Introduces MATRIX integrated advanced full flight simulator training technology. 2003 Opens Learning Center in Orlando, Florida. 2004 Awarded the U.S. Army Flight School XXI contract. 2005 Opens Training Center at the London Farnborough airport. 2006 Introduces the world’s first simulator equipped with electric motion and control loading. 2006 Introduces the VITAL X Visual System. 2006 Awarded a contract from the Air Mobility Command for KC-10 training. 2006 A.L. Ueltschi receives Wings Club Distinguished Achievement Award. 2007 Awarded FAA single Part 142 certificate for FlightSafety’s network of Learning Centers. 2007 Doubles size of Savannah Gulfstream Maintenance Learning Center. 2007 Becomes primary JPATS contractor. 2007 HondaJet names FlightSafety its factory-authorized training provider. 2008 Opens airline Learning Center in St. Louis, Missouri. 2008 Expands factory-authorized training agreement with Hawker Beechcraft. 2009 Opens helicopter Learning Center in Lafayette, Louisiana. 2009 Opens Hawker Beechcraft Maintenance Learning Center in Wichita, Kansas. 2009 Opens new Learning Center in Tokyo, Japan. 2009 Launches Proficiency Protection program for business aviation pilots and technicians. 2009 Expands training services agreement with Gulfstream for new aircraft. 2009 Awards 1,000th Master Technician Certificate. 2010 Selected by Pratt & Whitney Canada to provide engine training worldwide. 2010 Certified as approved training organization by Directorate General of Civil Aviation in Mexico. 2010 Opens 100,000-square-foot expansion at the Dallas Learning Center. 2011 Selected by the United States Air Force to provide C-5 Aircrew Training. 2011 Opens new flight simulation training system design, manufacturing and support facility in Broken Arrow, Oklahoma. 2012 Opens Learning Center in Hong Kong. 2012 Installs first CrewView glass mirror display in full flight simulator. 2013 Introduces new VITAL 1100 Visual System. 2013 Selected by Pilatus Aircraft Ltd. to provide Pilatus PC-24 training. 2013 Earns United States Air Force contract for KC-46 Aircrew Training System. 2014 First FlightSafety FS1000 simulator enters service. 2014 Selected by Gulfstream as the factory-authorized training provider for the new G500 and G600 aircraft. 2014 Selected by Dassault Falcon as the factory-authorized training provider for the Falcon 8X. 2014 Announces new Learning Center in Denver, Colorado. 2015 Rolls-Royce names FlightSafety as an authorized training provider for BR725 engine and troubleshooting courses. 2015 Becomes the first training provider to meet FAA SMS requirements. 2015 Selected as exclusive authorized training provider for the Nextant G90XT. 2015 Announces plans to increase fleet of advanced helicopter simulators by more than 40 percent. 2015 Receives FAA qualification for the first flight simulator expanded aerodynamic model for Upset Prevention and Recovery Training. 2015 Dassault Falcon renews approval of FlightSafety as an authorized training provider. 2015 Selects Aeroglobo to provide Pratt & Whitney Canada engine training in Brazil. 2015 Offers Upset Prevention and Recovery Training in Wilmington. 2015 Extends collaborative training agreement with Pratt & Whitney Canada. 2015 Introduces its new Master Aviator Certification Program. 2016 Receives FAA Level D qualification for two Cessna Caravan simulators in Wichita. 2016 To build a fourth Airbus A320 simulator for Wisesoft Corporation of China. 2016 Announces start of training for Sikorsky S-76C+ and S-76C++ in Singapore. 2016 FlightSafety celebrates its 65th anniversary. 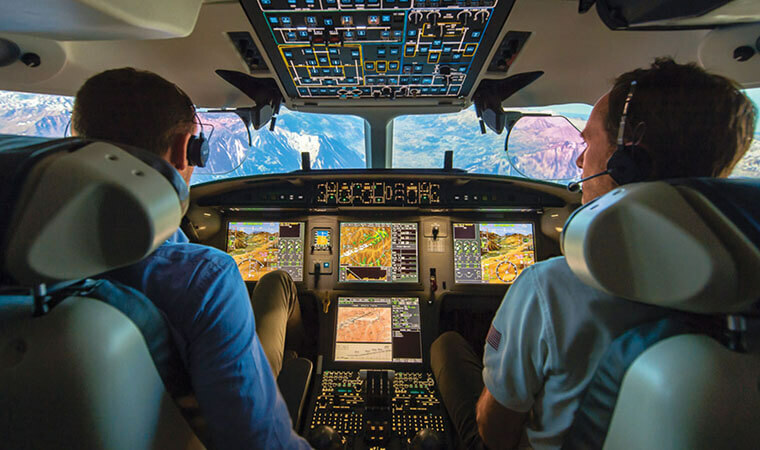 2016 Delivers Airbus A350 XWB simulator to the Airbus Training Center. 2016 Expands Advanced Upset Prevention And Recovery Training To Cessna CJ3, Gulfstream G450, Gulfstream G650, King Air 350 And Pilatus PC-12 Aircraft. 2016 Offers Rejected Takeoff Go/No-Go Advanced Training Courses For Five Gulfstream Aircraft Models. 2016 Becomes Honeywell’s exclusive maintenance training partner. 2016 Deploys first business jet simulator equipped with a CrewView all-glass mirror display. 2016 Begins Dassault Falcon 8X training in Paris-Le Bourget Learning Center. 2016 Introduces FlightBag, an enhanced courseware delivery and presentation application. 2016 Builds new Lakota flight simulators for use by the U.S. Army. 2016 Expands Master Aviator program to include helicopter curriculum. 2017 Gulfstream G650 training begins in Farnborough. 2017 Expands advanced training courses for Dassault Falcon 2000ex EASy and 900ex EASy aircraft. 2017 Flight Simulation Technique Center in India purchases a Bombardier Q400 simulator. 2017 Aeromexico Connect acquires its second Embraer E190 full flight simulator. 2017 S7 Airlines of Russia purchases an Embraer E170 flight simulator. 2017 SF Airlines purchases a Boeing 757-200F full flight simulator. 2017 Provides Pratt & Whitney Canada training in South Africa. 2017 Provides ATP CTP training in corporate aircraft simulators. 2017 Offers Gulfstream G450 training in Wilmington, Delaware. 2017 Expands training for Honeywell Aerospace products to Australia. 2017 Introduces FlightSafety Platinum training services program with unmatched customization, services and flexibility. 2017 Announces third Gulfstream G280 simulator in Savannah. 2017 Enhances eLearning program with expanded online courses.